“I’m the best decision this organization has ever made.” This is what Tom Brady, then 22, said to Robert Kraft (Patriots’ owner) after being picked 199th back in 2000. Looks like he was right. Say what you want about Tom Brady and the Patriots but there is no denying that what they did during the last quarter of Super Bowl LI was amazing. But this FFfT is not about the Super Bowl or about being amazing, though it could be. It’s about confidence. Can you imagine being a 22-year-old kid and walking up to your boss and making that statement with little to nothing to back it up. He was a tall, lanky player that ran the slowest 40-yard dash of all the quarterbacks in the combine, a 5.2 while all the others ran under a 4.9. 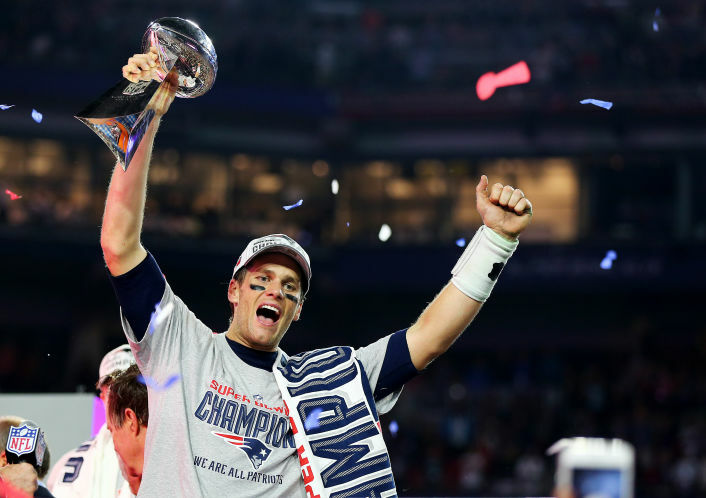 What makes Tom Brady successful? In my opinion, confidence and mental fortitude. Go back to the beginning and reread what he said to Mr. Kraft, that takes a lot of confidence. He backed it up with hard work, preparation and execution and thus becoming what the sports world is saying is the best quarterback in NFL history. If you watch the videos of the team after the Super Bowl, you hear several of them saying “You got to believe”. That is confidence. The team was down 28–9 in the third quarter. They put a plan together and the team believed it could be done (confidence). It was a feat that no one had accomplished before (mental fortitude). Hey there I just wanted to salute you. The text in your post seem to be running off the screen in Firefox. I’m not sure if this is a format issue or something to do with internet browser compatibility but I thought I’d post to let you know. The design look great though! Hope you get the problem solved soon. Kudos!? Thank you! We will get this fixed right away.